I don’t know about you but over winter I managed to gain quite a bit of weight, more weight than I would normally gain. For me, weight gain in winter happens every year but I manage to lose it slowly once the winter is over, without even thinking about it. But this year, I gained way too much weight and I consciously decided that I really need to do something about it as I don’t think the weight will just drop off. While my diet is generally pretty healthy, there was a period of time when I was indulging too much. In December, there was my Birthday, then Christmas and then the New Year. I think I gained the most weight over this time although I probably gained some more after that as well. My weakness is sweet treats and once I start eating them regularly, it’s difficult to stop. And I am sure I am not alone in this. Sugar is the killer and it’s so addictive. I got used to having something sweet after dinner pretty much every day and it was difficult to stop. Especially because I was not in my own home – living with my future in-laws really contributed to this weight gain as they would always have something sweet in the kitchen and I would go for it. The temptation is difficult to resist for me and that’s the reason why I never buy and store anything with processed sugar in my own home. Anyway, the damage has been done and I came to the conclusion that I needed to do something about it (probably the most important step!). 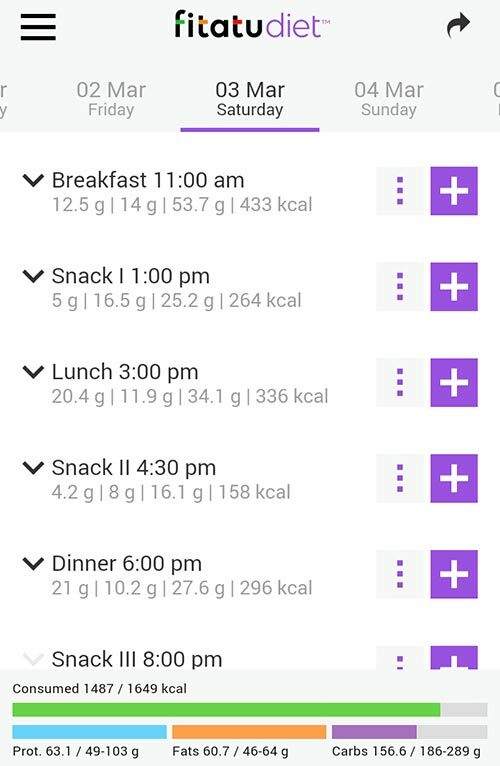 At that time I came across a calorie counting app, called Fitatu, which is also a diet app, giving you meal plans every week, and that’s how I began my new weight loss regime. I’ve never in my life done the calorie counting before and never wanted to. The idea just seemed so silly to me so I always dismissed it very quickly. When I wanted to lose some weight, I would just reduce my carb intake and move more. This did work for me but not with a lighting speed (who doesn’t want to lose weight quickly?). So I thought that maybe if I give calorie counting a try, that would work for me better and why not give it a try, there is nothing to lose, right? 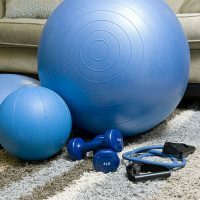 Before I started with calorie counting, I thought a little bit about my goals. 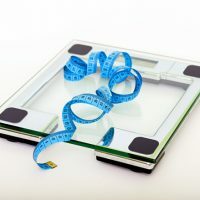 How much weight do I want to lose? How quickly? I wanted to start slowly and I didn’t want to set up a goal for myself which would be too difficult to achieve. So I thought that if I lose 0.5kg a week, that would be quite achievable. Yes, it would take me a few months to reach my desired goal but it would have been done before the summer. So I put all my goals into the Fitatu app (the weight I want to reach and how fast I want to lose it) and the app calculated for me how many calories I should consume in a day in order to reach this goal. To give me this calorie recommendation, the app also took into account my current activity levels. 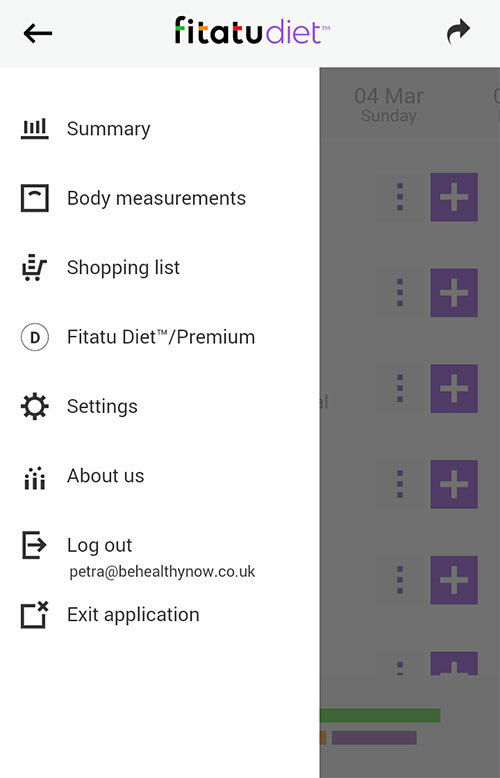 If you don’t like planning your meals and thinking too much about what you eat, the Fitatu app also has an option to help you with this aspect of weight loss (Fitatu Diet™ – “The simplest personal diet plan”). For every day of the week, you will get suggestions on what to eat for each meal of the day together with some healthy snack ideas. All the recipes are easy and quick to make with breakfasts being ready in 10 minutes and midday meals in 20. Dinner should not take more than 30 minutes to prepare. Amazing, right? So big thumbs up for quick and easy recipes in Fitatu Diet section (all created by a qualified dietitian). What I also like about this section is that if you don’t eat a particular food you can always exclude it from within the app and then the meal ideas you get won’t include it at all. In my case, I excluded all the meat so that all the meal suggestions never contain it. However, while I do like all the options in Fitatu Diet section, I decided to stick only with the calorie counting. That’s because I really didn’t want to start creating new meals which I don’t normally eat. 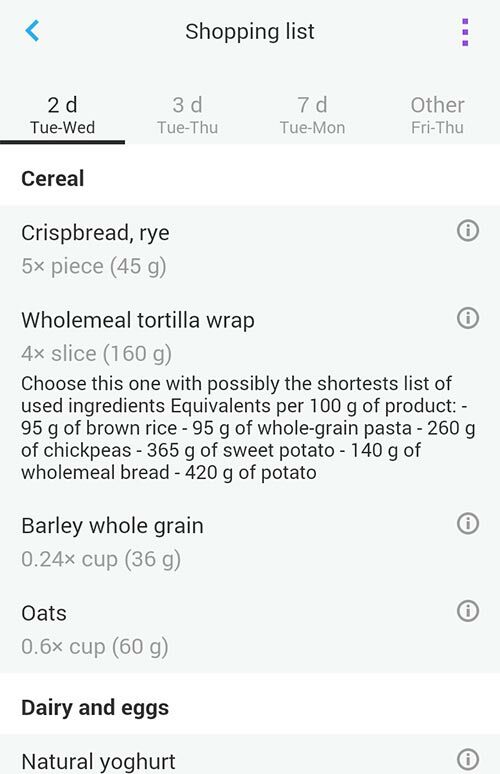 It just sounded like I needed to put in a bit of an effort although you do get a shopping list with those meals as well which make things just a little bit easier. But just to make my life easier I decided to track my calories only and then see how I get on. Every week I eat pretty much the same meals, I just needed to make sure that I don’t consume too many calories with them. Besides, the meals that I eat are quite healthy (I will share some of them with you below), the only weakness in my diet which I believed I needed to tackle was my sweet tooth. It’s been 3 weeks now and I managed to lose almost 3 kg or probably around 6 pounds which is something I am really pleased about. I’ve been weighing myself every Monday and recording that in the app. I also measured myself with a tape measure and put those measurements into the app. In the app you have an option to put all your measurements in, for example, neck, chest, arm, waist, abdomen and hips. I decided to measure just parts that were important to me: waist, abdomen, hips and thighs. I lost 3.5cm from my waist which is the biggest reduction out of all measurements but I also lost 2cm from my abdomen. I am really happy about this because this has been a problematic area for me since I hit the 30s. I want to lose more from this area in the coming weeks but I know that I will have to do more in terms of exercises to tackle this. All the results I have achieved so far have not been without an effort. Something that is really important when you are trying to lose weight is exercise or how active you are. I started being more active by simply walking every day for at least one hour. I was really lucky with the weather in my first week – it was sunny almost every day, although it was cold. But I just layered myself up and off I went to the park. I walked fast and I would get all sweaty inside which is a good sign, indicating a decent exercise, right? Fast walking burns more calories than just strolling and it’s just something to keep in mind if you want to burn more calories. Apart from fast walking every day, I was also doing my short HIIT workouts using 7 Minute App but I didn’t get to do them every single day. No doubt that exercise played an important role in my weight loss so far. I lost more than I originally planned and I am 100% sure that’s because of the exercise. Just to mention that Fitatu app also has an option to add your daily exercises in and you can even connect the app with FitBit, Google Fit and Runtastic. This just makes it easier to track the calories you use when you exercise. Is calorie counting worth doing? Now that I’ve tried calorie counting for 3 weeks, I can confidently say that this is totally worth doing if you want to lose weight, especially if you have lots of weight to lose. It just makes you realise how many calories a particular food has and what you’ve been doing wrong when trying to lose weight. I never knew how many calories carbohydrate-rich foods have but now I know that rice, pasta and bread are the worst offenders and this is something that I should limit in my diet when trying to lose weight. Rice is something that I used to eat without even thinking and I would have way too much of it. But now I am having much smaller portions and this has really helped me drop pounds. Here I wanted to share with you every single thing that I ate in one week and if you like you can copy some of the ideas below but this doesn’t mean that all my meals and days were nutritionally balanced. What I learned about my meals was actually that sometimes I don’t eat enough protein (Fitatu app is really cool as it tells you whether you are meeting your daily needs for protein and other nutrients). Having more protein is something that I need to work on and I’ve already started doing that by eating more Quorn products. As you can see above, my breakfast doesn’t really change much – I love my muesli or porridge too much! I know I can create a low-carb version of my breakfast but I was just a little bit lazy and couldn’t be bothered. I will however try and vary my breakfasts a little bit more in the next few weeks and I am actually thinking of getting myself a vegan protein powder as some days I know I struggle to meet my daily protein needs. As you will see above, on day 6 I actually had a small Magnum ice cream – this was the only treat I had in the whole week and I had it during the family gathering. It’s not something that I would buy myself but I was being offered one and it was only a small one so I went for it. I still managed to lose weight that week which just shows that you can still have some treats when you are trying to lose weight, it’s not all doom and gloom! Just make sure you don’t exceed your calorie allowance and that you are active as well. So this is me, on my mission to lose winter weight… If you are in the same boat, I highly recommend calorie counting, it really does work. 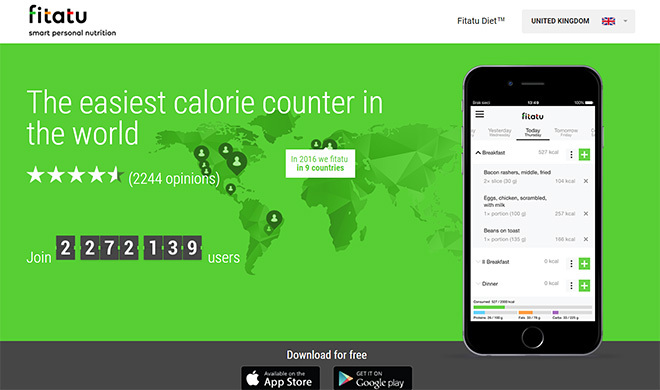 You can download Fitatu app for free here (Google Play) and here (App Store). Have you ever tried calorie counting before and how did that go? *Disclaimer: This is a sponsored post. All the opinions are my own. I’ve never heard of this app but it looks pretty cool. I am in a similar boat. I would like to lose a little weight that I actually gained after my second child. I know I just need to think about it and make anfew minor adjustments. Perhaps I’ll give this app a go. Thanks! Calorie counting definitely works for me and it’s worth doing but if you have children it may not be that easy as you will have to put some time aside to record all your meals. But you could still give it a try to see whether it would suit you.